The Orfit® Flex NS has a tackiness that helps keep the orthoses in place during application. It has a high drapability and a low resitance to stretch. The surface features an appealling semi-gloss smooth finish. This material is ideal to use for the creation wrist, thumb and hand splints. The Orfit® Flex NS material has a coating that allows it to mold directly over bandages. It has a high drapability and a low resistance to stretch. The surface features an appealing semi-gloss smooth finish and is soft to touch. This material is ideal to use for the creation wrist, thumb and hand splints. 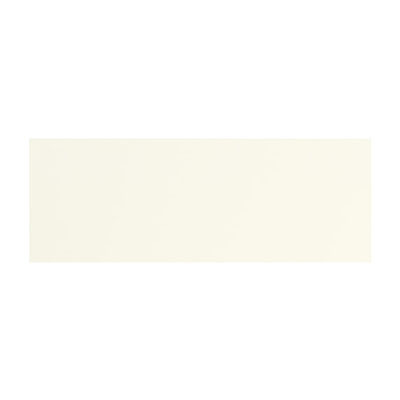 The item shown is Orfit® Flex NS, 18" x 24" x 3/32", non perforated. Dimensions: 23.62" x 0.09" x 17.72"
Only for sale in the USA and Canada. The Orfit® Flex NS material has a coating that allows it to mold directly over bandages. It has a high drapability and a low resistance to stretch. The surface features an appealing semi-gloss smooth finish and is soft to touch. This material is ideal to use for the creation wrist, thumb and hand splints. The item shown is Orfit® Flex NS, 18" x 24" x 3/32", non perforated, case of 4. Dimensions: 23.62" x 0.38" x 17.72"
The Orfit® Flex NS material has a coating that allows it to mold directly over bandages. It has a high drapability and a low resistance to stretch. The surface features an appealing semi-gloss smooth finish and is soft to touch. This material is ideal to use for the creation wrist, thumb and hand splints. The item shown is Orfit® Flex NS, 18" x 24" x 3/32", macro perforated. It is available with 1% surface perforation. The Orfit® Flex NS material has a coating that allows it to mold directly over bandages. It has a high drapability and a low resistance to stretch. The surface features an appealing semi-gloss smooth finish and is soft to touch. This material is ideal to use for the creation wrist, thumb and hand splints. The item shown is Orfit® Flex NS, 18" x 24" x 3/32", macro perforated, case of 4. It is available with 1% surface perforation. The Orfit® Flex NS material has a coating that allows it to mold directly over bandages. It has a high drapability and a low resistance to stretch. The surface features an appealing semi-gloss smooth finish and is soft to touch. This material is ideal to use for the creation wrist, thumb and hand splints. The item shown is Orfit® Flex NS, 18" x 24" x 1/8", non perforated. Dimensions: 23.62" x 0.13" x 17.72"
The Orfit® Flex NS material has a coating that allows it to mold directly over bandages. It has a high drapability and a low resistance to stretch. The surface features an appealing semi-gloss smooth finish and is soft to touch. This material is ideal to use for the creation wrist, thumb and hand splints. The item shown is Orfit® Flex NS, 18" x 24" x 1/8", non perforated, case of 4. Dimensions: 23.62" x 0.50" x 17.72"
The Orfit® Flex NS material has a coating that allows it to mold directly over bandages. It has a high drapability and a low resistance to stretch. The surface features an appealing semi-gloss smooth finish and is soft to touch. This material is ideal to use for the creation wrist, thumb and hand splints. The item shown is Orfit® Flex NS, 18" x 24" x 1/8", macro perforated. It is available with 1% surface perforation. The Orfit® Flex NS material has a coating that allows it to mold directly over bandages. It has a high drapability and a low resistance to stretch. The surface features an appealing semi-gloss smooth finish and is soft to touch. This material is ideal to use for the creation wrist, thumb and hand splints. 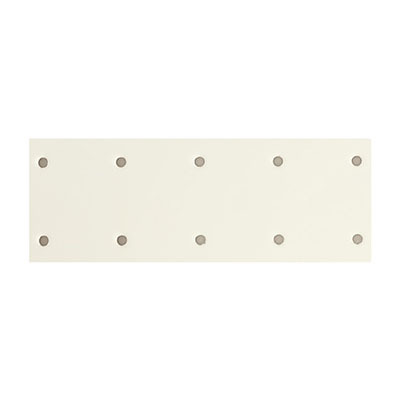 The item shown is Orfit® Flex NS, 18" x 24" x 1/8", macro perforated, case of 4. It is available with 1% surface perforation. The Orfit® Flex NS material has a coating that allows it to mold directly over bandages. It has a high drapability and a low resistance to stretch. The surface features an appealing semi-gloss smooth finish and is soft to touch. This material is ideal to use for the creation wrist, thumb and hand splints. The item shown is Orfit® Flex NS, 24" x 36" x 1/8", non perforated. Dimensions: 35.43" x 0.13" x 23.62"
The Orfit® Flex NS material has a coating that allows it to mold directly over bandages. It has a high drapability and a low resistance to stretch. The surface features an appealing semi-gloss smooth finish and is soft to touch. This material is ideal to use for the creation wrist, thumb and hand splints. The item shown is Orfit® Flex NS, 24" x 36" x 1/8", non perforated, case of 4. Dimensions: 35.43" x 0.50" x 23.62"
The Orfit® Flex NS material has a coating that allows it to mold directly over bandages. It has a high drapability and a low resistance to stretch. The surface features an appealing semi-gloss smooth finish and is soft to touch. This material is ideal to use for the creation wrist, thumb and hand splints. The item shown is Orfit® Flex NS, 24" x 36" x 1/8", macro perforated. It is available with 1% surface perforation. The Orfit® Flex NS material has a coating that allows it to mold directly over bandages. It has a high drapability and a low resistance to stretch. The surface features an appealing semi-gloss smooth finish and is soft to touch. This material is ideal to use for the creation wrist, thumb and hand splints. The item shown is Orfit® Flex NS, 24" x 36" x 1/8", macro perforated, case of 4. It is available with 1% surface perforation.